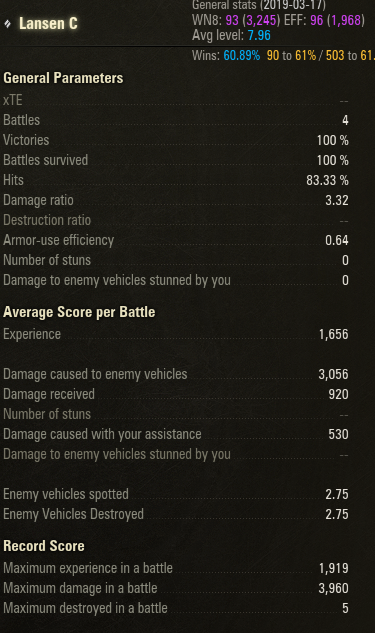 Is any tier 8 MT as bad as the VTU? I give you the ......T69 ? But that is with it in your hands. Looks good when "you" play it, but if it's perceived as the slightest bit "OP" at some point, it will get the nerf bat before too long. Would rather do the Progetto 46 or the Skorpion G personally (cause I couldn't get your results and I already have both of those). Your original comment at the start of these posts. You assume others are "not as good as you" - except you aren't that good. Does that explain it or do you need pictures? Ahahaha So do WG pay you by the post or by the hour? Besides why would you bother with the Lansen C when in 6 months the Lansen F++ Hyper edition is sold for the low low price of $90 Or wait a year for the Lansen ZZZ Pro with over 50% better bloom and DPM!!!! ON SALE NOW! Here's a little tip, actually quote the message you're replying to. Works absolute wonders. Developing a little humility and humanity works wonders too. You should learn that "be silent and be thought a fool, speak and remove all doubt" is a dictum that you should adhere too. Now go look up the Dunning-Kruger Effect. Maybe that's too hard for Year 7. Developing a little humility and humanity works wonders too. No, doing that gives no advantages. Now that the tools measuring their tools is done; No it is not worth it. They should have made this a tier 7 premium medium, adjusted a little bit. Then made a tier 8 that was the new siege mode medium. I'm sure they'll do a medium siege mode eventually so instead of ending up with 3 tier 8 mediums, they'd have a 6, 7 and a couple of 8's.